This story has been updated to include the Strategies 360 press release announcing Robert Dillon as their new Senior Vice President in their Washington D.C. office. The original story can be seen below the release. At S360, Dillon will focus on strengthening and expanding the firm’s current government relations, strategic message development, crisis management, media relations, and speech and editorial writing practices. He will be working on energy issues, as well as a broad range of other policy areas. Dillon joined the Energy and Natural Resources Committee in 2009 after a 19-year career as a journalist covering energy, politics and Alaska Native issues. At the committee he worked on issues ranging from climate change, renewable energy development, oil and natural gas, nuclear energy, public land management, environmental regulation, forestry issues and national parks. Prior to his tenure in the Senate, Dillon provided analysis of U.S. energy and regulatory policy for the Energy Intelligence Group. Dillon has worked as a reporter and photojournalist in the U.S. Arctic, China, and Europe. He previously worked at The Fairbanks Daily News-Miner, Alaska Newspapers Inc, The Anchorage Times, The Prague Post, Central European Business Weekly and China Daily. Dillon majored in journalism and Alaska Native studies at the University of Alaska, Fairbanks. Together with his wife, Eva, they have a 5-year-old daughter. Robert can be reached at robertd@strategies360.com and (202) 333-2234. U.S. Senator Lisa Murkowski’s Energy and Natural Resources Committee spokesman Robert DIllon is resigning. In an interview today Dillon confirmed today is his last day in that position, one he’s held for seven years. Starting Monday, Dillon will begin a new job as senior vice president and head of the Washington, D.C. Office of Strategies 360, a public relations, political consulting, and lobbying firm with office in 10 states, including Alaska. Until a replacement for him can be named Dillon said his deputy Michael Tadeo will handle his duties. Neither Dillon nor Murkowski’s office knew what the process or timeline would be to find a replacement. The move of Dillon to the private sector follows a similar move by Murkowski’s D.C. based Communications Director Matt Felling in September. To date Felling has not been replaced, however, I’m told that announcement should be announced in the 24 hours. I won’t spoil the announcement but I will say it’s a familiar face to Murkowski. Dillon said he enjoyed his time working in the Senate and that it was “a pleasure to serve the Senator and all Alaskans on the Energy Committee” but the new position will allow him a better home life with his family. He also said the new position won’t entail lobbying, but rather managing a team that does include a lobbyist. 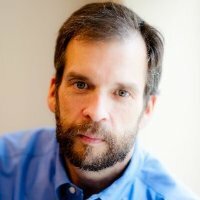 In addition to heading Strategies 360’s office in D.C., Dillon will also get to keep a connection to his Alaska stomping grounds, according to Strategies 360’s Senior Vice President for Alaska Taylor Bickford, who said Dillon’s new gig will include working with Alaska based clients and issues. Be the first to comment on "Murkowski Committee Spokesman Joins Strategies 360"